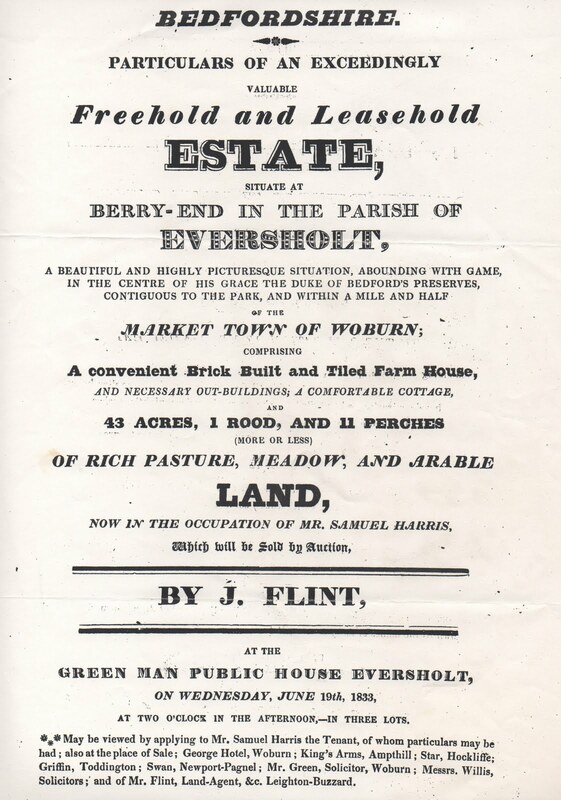 These pictures seem to be two different ads for the sale of what looks like Berry End Farm in 1833. 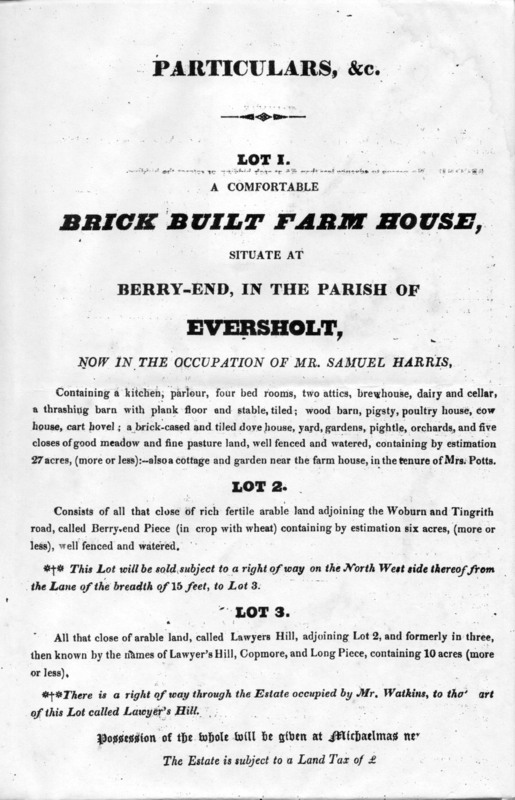 Was the current farmhouse the “convenient brick built and tiled farm house” they were selling back then? 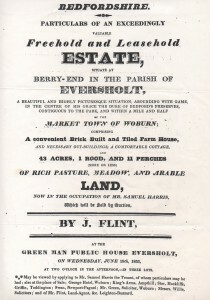 The first poster describes the farm in general, and the second two posters are more detailed, describing the lots and the conditions of sale. Copies of these posters were hanging in the Green Man until recently. 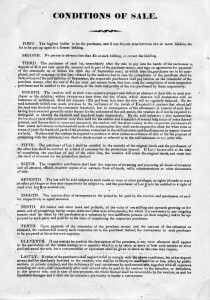 Click on each image to see a much bigger version. 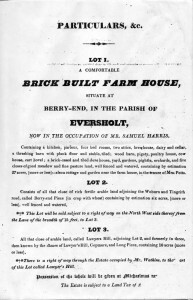 The tenant of the farm is said to be Samuel Harris. 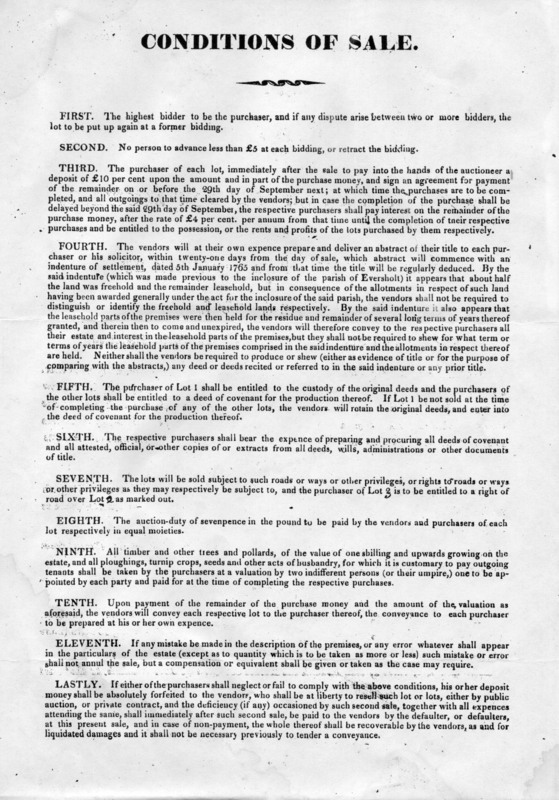 Was this the same Samuel Harris who ran the Post Office in 1847 and 1877?